The Land Trust Alliance formed Terrafirma in 2011 to help land trusts defend their conserved lands from legal challenge. It is owned by its members to insure the costs of upholding conservation easements and fee lands held for conservation purposes when they have been violated or are under legal attack, and to provide information on risk management to those land trusts. 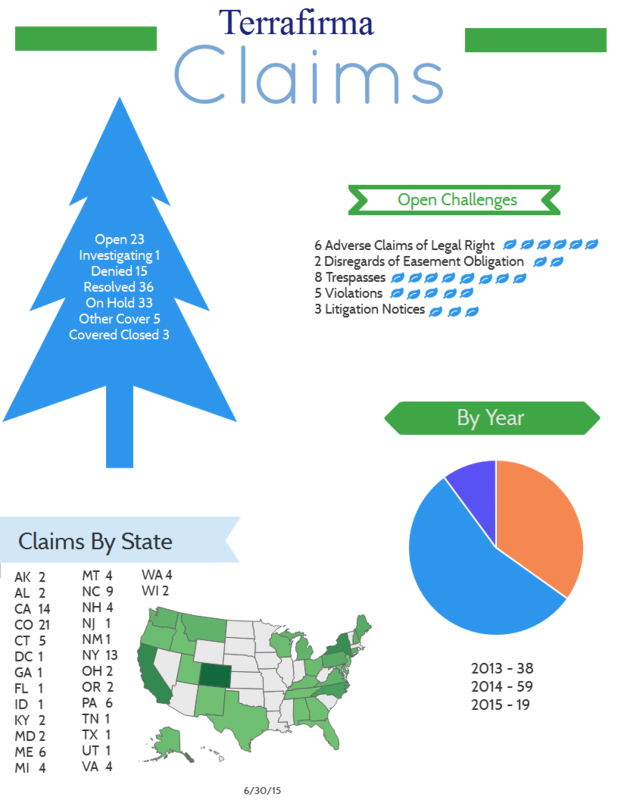 This visual representation shows how well Terrafirma is doing its job, handling 116 claims across recent years. For more info about Terrafirma, visit its website or LinkedIn page.